The ski resorts in Scotland offer an opportunity to explore some of the more rugged and wild areas of the country. Dotted around the Highlands and the CairnGorms National Park, they are surrounded by stunning scenery and charming historical towns. If you live close enough to drive, Scotland is a smart choice for beginner and even intermediate skiers, who can practise carving without paying through the nose for a ski pass at an Alpine ski resort. And despite the low altitudes and frequent lack of snow cover, on a good day you’re liable to find some amazing off-piste routes along the corries. Always check the snow and road conditions before going. Scotland’s most popular ski resort is a polished operation with 32km of pistes, a snow park and cross-country trails. It’s an especially good choice for beginners who are looking to improve their skills, although more advanced skiers can have a go on the black Coire na Ciste slope or the off-piste terrain. Cairngorm Mountain is located within the eponymous national park and offers spectacular views of the surrounding winter landscapes. Take the funicular railway to the Ptarmigan, the UK’s highest restaurant at around 1000m altitude. For après-ski, you can wile the night away in the Winking Owl, just down the road in Aviemore. Glencoe Mountain is the oldest ski resort in Scotland, open since the 1950’s, and widely respected for having kickstarted the Scottish ski industry. Known for its steeps, among them the Fly Paper, which is Scotland’s steepest pisted slope. When the snow conditions cooperate, there is also some excellent off-piste skiing at Glencoe. 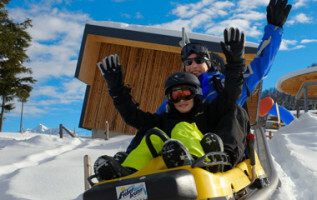 But the ski resort has terrain for every ability level, including a generous beginners’ area at mid-mountain. Barring a campsite with a licensed pub, there’s no village to speak of at the base area. However, tiny Glencoe Village is just a twenty-minute drive and has live music at the Clachaig Inn at weekends. With 40km of pistes spread out over a total of four mountains, Glenshee is Scotland’s largest ski resort. Glenshee puts the focus on freestyling and is a regular host for freestyle events. 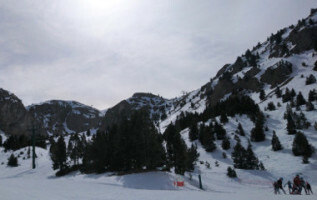 Beginners and intermediates will find loads of slopes to practise on here, within easy reach of the car park. 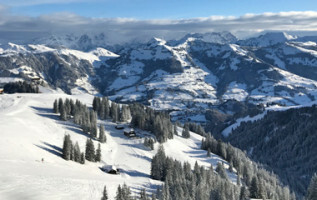 In addition to several black slopes, among them the moguled Tiger, experts who are willing to hike can find some great ski touring terrain in the environs of the ski area. Glenshee is in a remote location in the Highlands and you won’t find many big towns around here, but you can grab a cup of mulled wine at the ski resort’s Base Café and find some restaurants in nearby Braemar or the Spittal of Glenshee. The only mountain gondola in Scotland whisks skiers and snowboarders up to the base area at Nevis Range. While there are a dozen pistes for beginner and intermediate skiers here, the real excitement at Nevis Range lies in the Back Corries with their fabulous off-piste steeps. Beginners and intermediates need not fear – the Snowgoose Bowl and the Zone B beginners’ area are more than adequate for practising turns. Nevis Range also boasts a dry slope so there no need to worry about snow conditions before you make the trek. The ski resort is within easy reach of Glasgow and even easier reach of Fort William, self-proclaimed outdoor capital of the UK. The Lecht is on the smaller side as far as ski resorts go in Scotland, but they make up for it with lack of crowds, top-notch snowmaking facilities and passionate staff. Families with young children will love it here, where kids can explore the Penguin Park and make their first turns on the nursery slopes. The Lecht is also a good choice for freestylers as it has a well-maintained snow park with a (weather-dependent) half-pipe. You can grab a hot drink and a snack at the base, or drive a bit further towards Tomintoul, a historic town that’s known for its whisky and its centuries-old buildings. Located in the south of Scotland, Lowther Hills is a small ski hill currently undergoing a slew of renovations including new snow fencing, a piste basher, a lodge and a snow park. Just like the ski resorts in England, Lowther Hills is run by volunteers and you must become a member in order to ski. This makes for a friendly atmosphere and the sense that you're really contributing to the community.